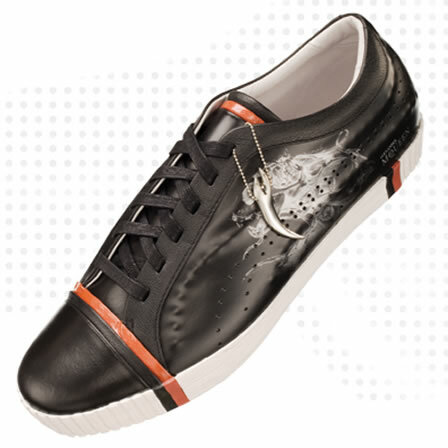 Puma Trainers – Kitmeout Designer Clothes – Fashion Blog & Fashion Forum. “Argentina and Manchester City star Sergio ‘Kun’ Agüero has been a revelation wherever he has played; winning plaudits, matches and the hearts of fans all over the world! It seems young Sergio, affectionately known as ‘Kun’ was destined for great things, having made his professional debut for Independiente at the tender age of 15 years and 35 days old; making him the youngest player EVER to appear in Argentine First Division. Not only that, ‘Kun’ broke the record established by the legendary Diego Maradona, who is not only the father of Argentinean football, but also happens to be his father-in-law too! Sergio lived up to his promise to become one of the hottest properties in football after bagging an astonishing 23 goals in just over 50 games, with Athletico Madrid eventually winning the race for his signature in a record-breaking transfer. ‘Kun’ who is equally happy playing as a forward or dropping a bit deeper didn’t take long to find his feet in La Liga and was soon firing his side into the Champions League for the time in more than a decade! Mihara bends and stretches the limits of design by stepping even further into its brave world of boundless imagination. This season, the collection explores the more playful side of geometry—shapes and formulas that are near whimsical in their faultlessness. Footwear is harnessed with all over straps (akin to a multi-colored rubber band ball) and bolder-than-bold color combinations. Textured polka dots jut from soft leathers, as materials turn signature silhouettes into play things, and atypical forms and functions are paired to produce a whole that’s grounded in logic but geared to dodge reason and pass expectation. Puma x HANON VIP guests arrived at Callooh Callay EC2 for an exclusive whisky tasting prior to launch for the much awaited Dallas collaboration. Guests were welcomed with a whisky based punch as they entered the venue through a Narnia type wardrobe door. The shoes were lit up in individual display cabinets accompanied by their argyle scarves. The much anticipated whisky casket shoe boxes were on display with etched whisky glasses and beer mats for guests to take away as a momento of the event in their Puma x HANON branded canvas bags. All were welcome to enjoy the VIP whisky tasting area to see the shoes frozen in ice on the bar top. German sporting goods maker Puma (PUMG.DE) said it would bring criminal charges against its partners in a Greek joint venture after discovering a swindle that could cost it as much as 130 million euros ($181 million). Puma said on Monday it suspected that its “Greek joint venture partner, along with members of the Greek local management, has committed a series of criminal acts” based on the preliminary findings of an audit. 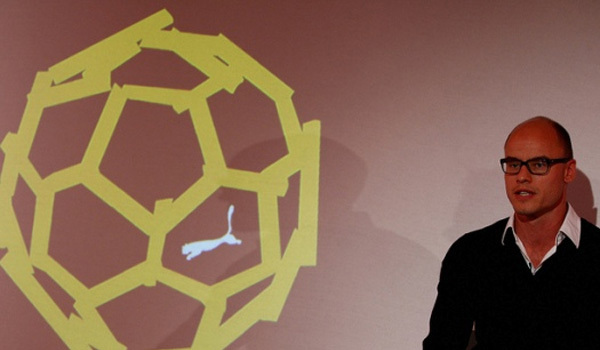 “This is about systematic evasion and embezzlement,” Puma Chief Executive Jochen Zeitz told Reuters in an interview. He said it was not yet clear how much Puma would seek in damages from its partners, brothers Georgious Glou and Antonius Glou, who own 15 percent each of the Puma Hellas venture. Officials at Glou, a non-listed Greek clothing retailer, declined to comment. The two brothers did not immediately return a phone call to their office seeking comment. 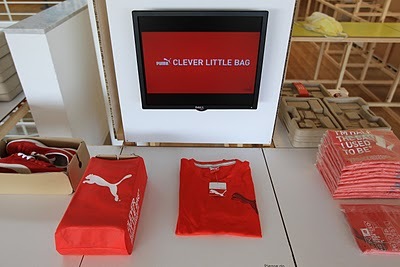 Greece is one of Puma’s 10 biggest European markets, with annual sales in the tens of millions of euros. “In the long term, Greece is an important market for us,” Zeitz said, but added that Puma would shrink its Greek business — under new management — to reflect tough economic conditions in the southeastern European country. Tucked away behind the main screen on PUMAâ€™s homepage, you will find your backstage pass to a STREB performance where PUMA gear gets put to the ultimate test. STREB dancers found PUMA footwear and apparel to be the perfect fit in complimenting their â€œPopActionâ€ style of dance. Together with PUMA, STREB combines unique movements and bold colors to create a futuristic feel. 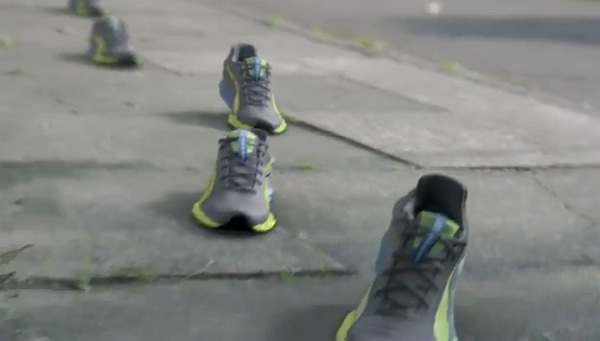 Puma Trainers to cross the German/French border? PPR announced that it has taken a 27% stake in German sportswear retailer Puma. The French luxury goods group confirmed that it planned to take over the rest of the company for â‚¬5.3 billion. With the sale of their stake to PPR, siblings Gunther and Daniela Herz, until now Puma’s largest shareholders, have relinquished all control of Puma.